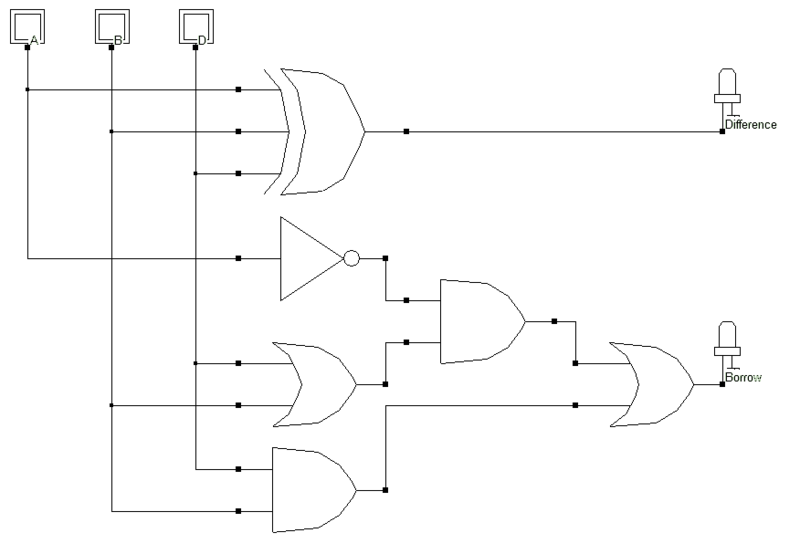 To implement a logic we use logic circuits. There are two types of logic circuits. Combinational logic circuits and sequential logic circuits. Combinational logic circuits are time-independent circuits that deploy boolean logic to achieve output. This output depends on the current input and nothing else. Arithmetic logic is necessary for any digital system as we have seen earlier. 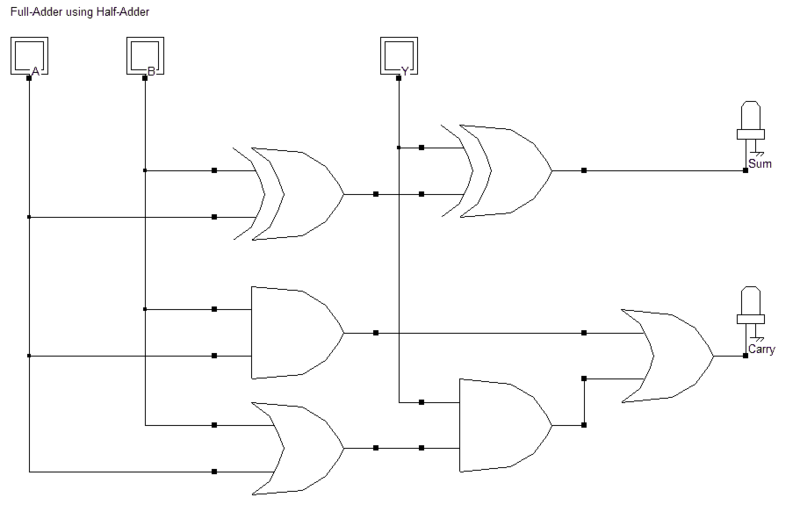 In this post, we will take a look at the different variants of an adder and a subtractor. These particular circuits form an integral part of modern ICs where they are found in the Arithmetic Logic Units (ALUs) and the Digital Signal Proicessing (DSP) units. How to design a Half Adder circuit? 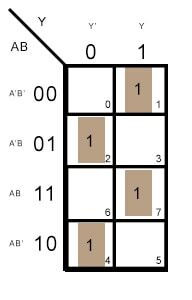 A half adder is an arithmetic combinational logic circuit that adds two 1-bit inputs to give the sum and the carry generated as the output. Why is it called as a half adder? Note: Understand this shortcut for deriving the equation for an output by just looking at the truth table. This is quite handy for small truth tables and you don’t need to draw K-maps for each of them. From the equations above, it is clear that the circuit consists of an EXOR gate and an AND gate. 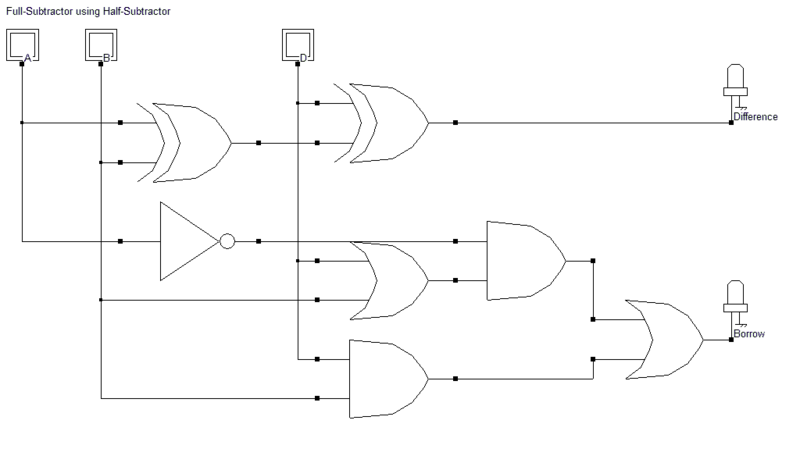 Designing based on the equations we get the following logic circuit for the half adder. 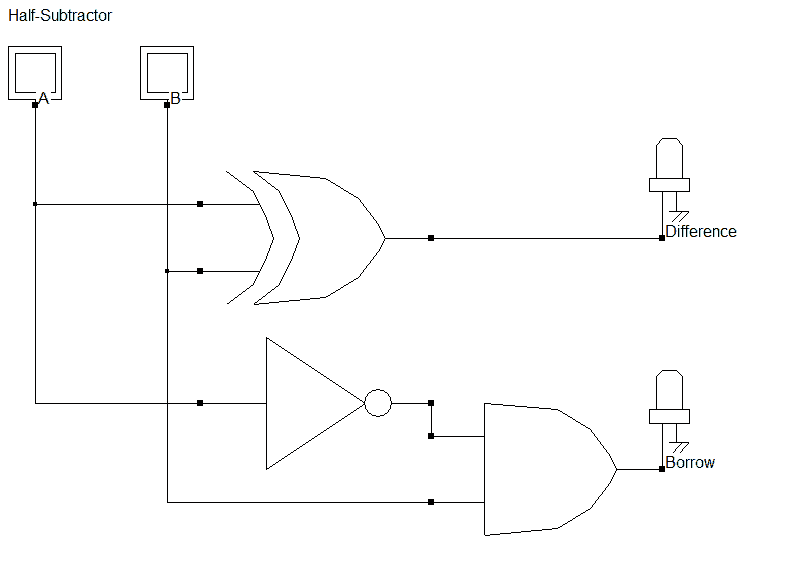 How to design a Full Adder circuit? 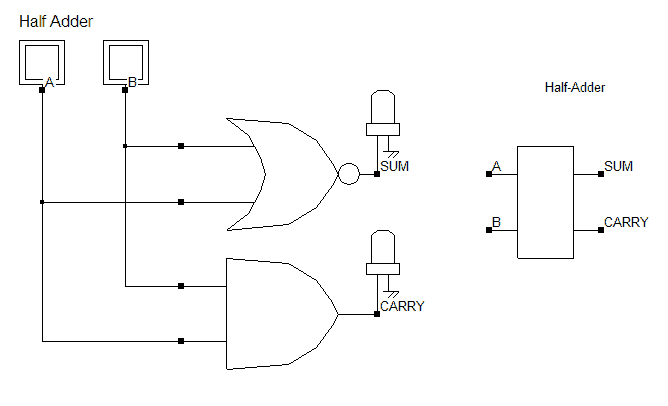 The only difference between a full adder and a half adder is that in a full adder, we also consider the carry input. So we have three inputs instead of two. 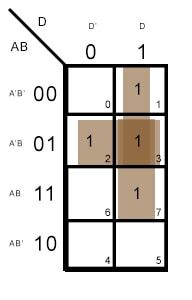 Let’s plot the truth table using three inputs and general boolean addition rules. Where X is the equation for EXOR and X’ is the equation for EXNOR. 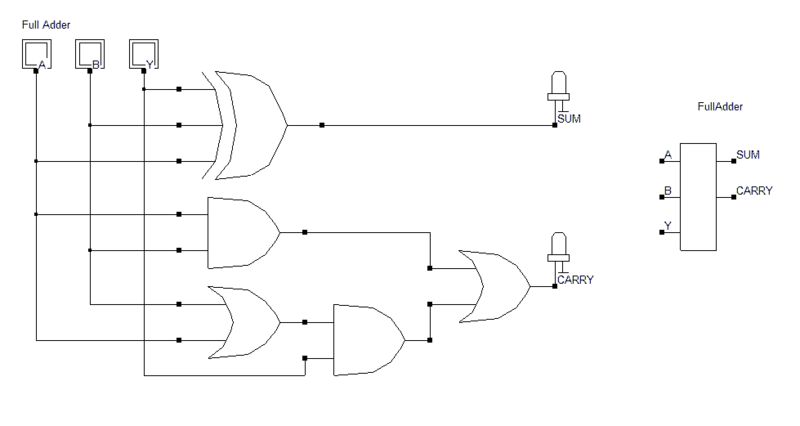 From the two equations of SUM and CARRY, we can design the following combinational logic circuit for a full adder. Compare the equations for half adder and full adder. The equation for SUM requires just an additional input EXORed with the half adder output. So we just add the Y input and the output of the half adder to an EXOR gate. Similarly, for the carry output of the half adder, we need to add Y(A+B) in an OR configuration. 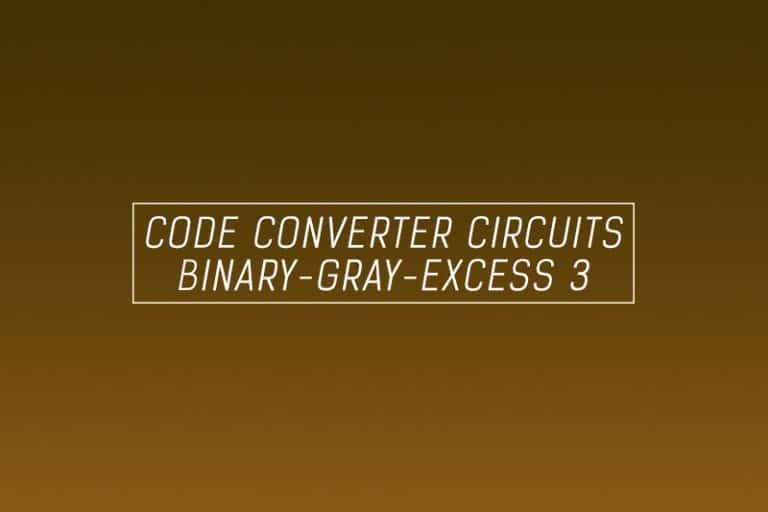 Quite similar to the half adder, a half subtractor subtracts two 1-bit binary numbers to give two outputs, difference and borrow. 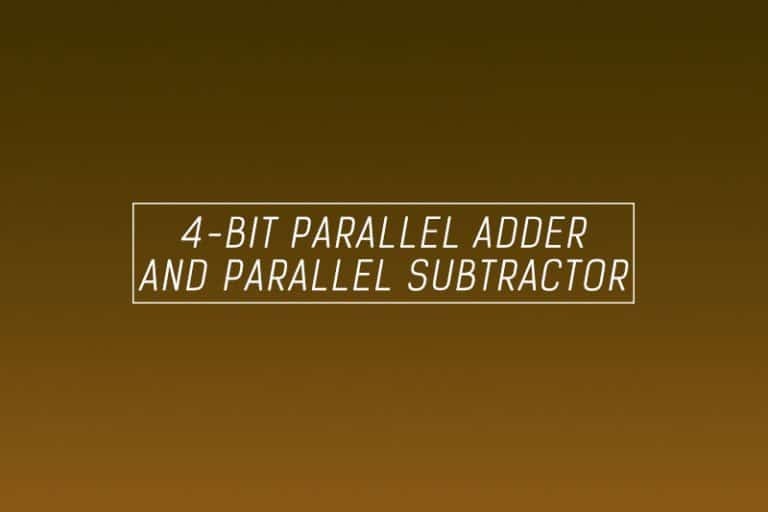 Since it neglects any borrow inputs and essentially performs half the function of a subtractor it is known as the half subtractor. Let’s write the truth table based on this information and general boolean subtraction logic. A full subtractor accounts for the borrow that a half subtractor neglects. Hence it has three inputs and two outputs. 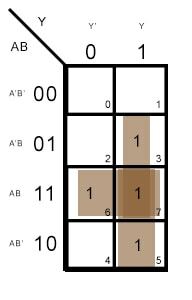 We will write the truth table for the full subtractor based on this information. Comparing the equations for a half subtractor and a full subtractor, the DIFFERENCE output just needs an additional input D, EXORed with the output of DIFFERENCE from the half subtractor. And the BORROW output just needs two additional inputs DA’ and DB. Note: We will use all of the equations above when we code these combinational circuits using VHDL in our VLSI course.